Thanks to my good friends, the ISLERS, both father and son, my interest took off on the celebrated Swiss pianist, ADRIAN AESCHBACHER (1912-2002). 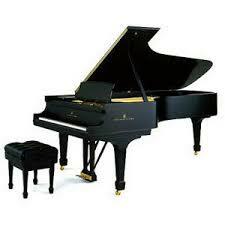 He recorded prolifically, especially major piano literature. Among his teachers was Artur Schnabel. The Schnabel pupils I have heard carry on the traditions of the legendary Schnabel. Perhaps Aeschbacher was more well known in the long-play days in Europe, and less so in the USA. However, I note that DGG and other Austro-German companies are releasing near complete editions of artists not well known to Americans. I wonder if Aeschbacher's works will see a mega-box one of these days? Donald Isler's company, KASP, has already issued two CDs of the pianist's work, largely Beethoven, Schubert, and Schumann, that are well worth having. I have a couple of his recordings, notably Beethoven's 1st piano concerto with Furtwängler, but can't say he's made much of an impression on me - an honest musician, for sure, but if he's more than that, it doesn't show in the few recordings I've heard. Which would you say are particularly outstanding among those you've listened to? There is a superb recording of the Brahms PC #2 with Furtwängler from 1943, which he recorded on two other occasions with different orchestras and conductors. I also felt his Schubert and Schumann performances were excellent. i think of Aeschbacher as a pianist in the manner of Edwin Fischer and that ilk. Thanks for mentioning Adrian Aeschbacher, and the KASP releases of his playing, Lance. Of course I agree that he was a terrific Schubert and Schumann pianist. I'd be delighted if one of the companies that recorded him, like DGG, would release more of his playing but I haven't heard any indication that they intend to do so.